With a complex health care system, developing strong relationships and advocating on behalf of our members is more important than ever before. 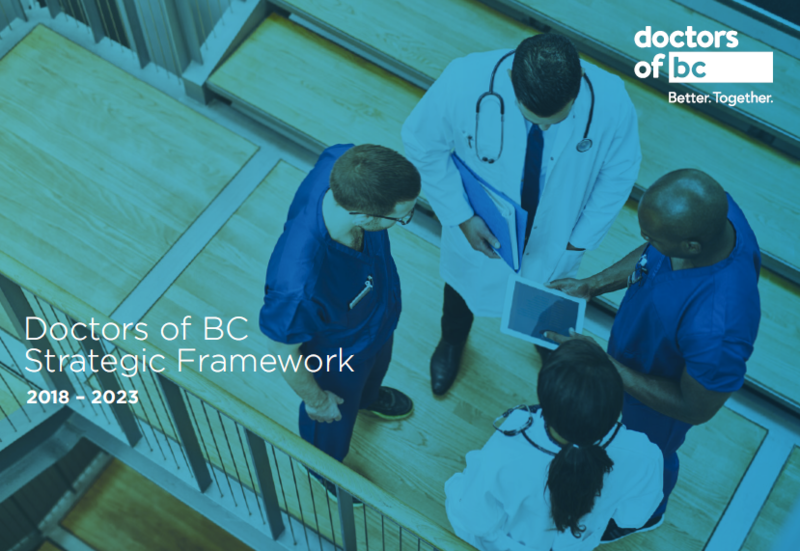 As the provincial leader of physician advocacy, Doctors of BC works alongside our members and the medical community on a wide range of important issues. When communicating with the provincial government, Health Authorities, partners, and media, our goal is always to try and reach a solution together, striving to meet the best interests of all – doctors, patients and the health care system as a whole. The Council on Public Affairs and Communications (CPAC) helps to facilitate government relations on behalf of Doctors of BC to meet the goals of our strategic framework and to promote and support physician leadership across the province. In this way, we help ensure our doctors are always on the front line, delivering quality health care and being natural advocates for system reform, patient rights, and professional satisfaction.